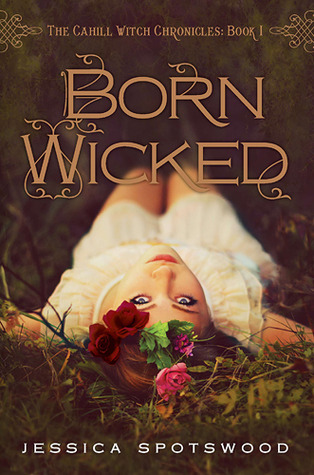 Today I am very pleased to be able to share with you all the cover reveal for the new paperback of Born Wicked by Jessica Spotswood. I read Born Wicked back in the beginning of 2012 and I must say the book still holds it's spot for the best book read this year. My review can be found here. As many of you know this is the cover of the hardcopy which was released back in February. My thoughts: I prefer the original cover a bit more. I love the font and model used on the cover. I love the way she is laying in the forest and looking up at me. Her eyes look like they hold a secret only see knows....Very mysterious. The new cover is very beautiful and graceful. The colors mix so well together. The huge moon behind the model as well are the color of the moon is way cool. All of the raven's flying around is totally wicked awesome. To check out more about the cover and to find out more details about STAR CURSED which is the 2nd book in the series. CLICK HERE! So what are your thoughts on the new cover? Love, Like or Hate? Oooh I think I would like the paperback cover if I hadn't seen the hardcover. It's very nice and I like the new model, but the hardcover book is just perfect to me. It feels more "vintage" and has that older feel to it and I agree, you feel more that she's keeping a secret. Love it...I own the ebook, hmm I should read it! The new is sooooo much better then the original.